Westmoreland Cultural Trust is proud to continue the tradition of acknowledging the creative endeavors of 72 area high school seniors for their exemplary skills in theatre, visual arts, instrumental music and vocal music. 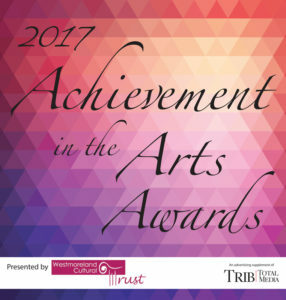 This year’s awardees, which have been selected by faculty and advisers, will be honored at Westmoreland Cultural Trust’s 21st Annual Achievement in the Arts Award Celebration on Wednesday, May 15, 2019 at The Palace Theatre (21 West Otterman Street, Greensburg PA). Family, friends, teachers and faculty are encouraged to join us. Tickets include light bites and beverages at the pre-award ceremony celebration at 6 PM and seating for the Awards Presentation at 7 PM. Reservations are required and tickets should be purchased prior to Friday, May 10, 2019.